On Saturday members of our U10's team will make Club history when they travel to the Aviva Regional Festival @Ballyclare Rfc, in Belfast. We are only one of four teams from Leinster to be invited to enter this festival. 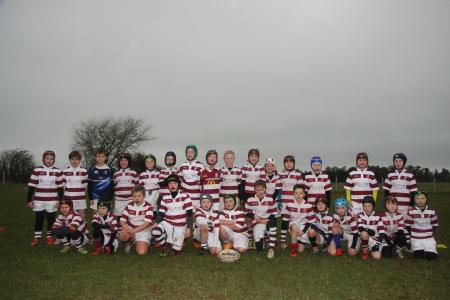 This is the first time in Tullow RFC's history that one of their teams will travel up to Ulster to play a rugby match! After this Regional Festival, teams from all over Ireland will be selected to attend The Aviva National Festival to be held in the Aviva Stadium at the end of April , so there is a big prize at stake. Unfortunately only 15 can travel due to IRFU regulations so we have another team of 11 travelling to Wexford this Saturday also. The very best of luck to all players and coaches. We'll also be taking part in the annual U10 Festival in Balbriggan on Sunday March 13th. Great things going on for our club Mini's.